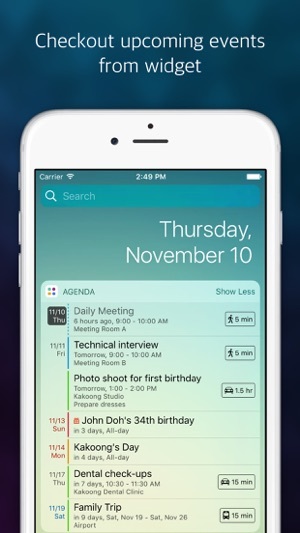 ‘Agenda: Widget+’ shows upcoming events in the widget not only today's events. It also provides estimated travel time with directions. 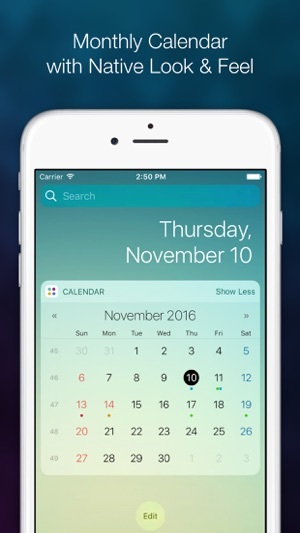 An elegant monthly calendar widget is also provided. ∙ Displays upcoming events in the widget. ∙ Travel Time and Routing features are provided. ∙ Location based travel time estimation. ∙ Birthdays are displayed in the widget. ∙ Monthly calendar widget also provided. ∙ You can navigate months. ∙ Week number is provided. ∙ Displays regional holiday and weekend. 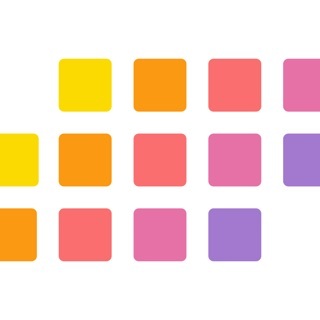 ∙ Can displays maps for events. ∙ Both widget supports 38 languages, however the app(Settings for widgets) supports Korean, German, English, Japanese and Hebrew. ∙ There is some adjustment due to performace for specific models. 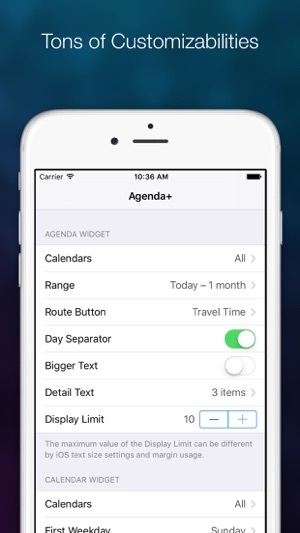 Agenda: Widget+ is a well designed widget that is superior to the Apple Calendar widget. The Apple widget does not display “all day” calendar events, and I always found it frustrating to have to designate an arbitrary time to an all day event to get it to show up in the list of upcoming events in an iOS widget. It works in macOS, but not iOS. 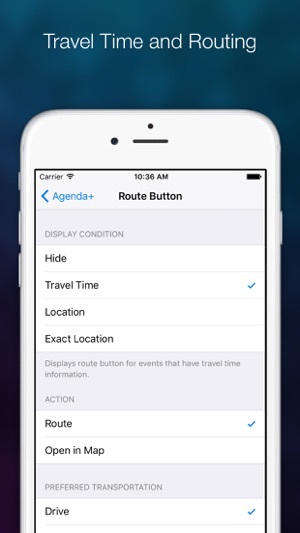 Agenda: Widget+ elegantly solves this problem on my iPad, iPhone, and Apple Watch. The only upgrade I would like to see is a Complication for the large Middle display in the Modular watch face. The Apple Calendar Complication is available, but it does not work as well as Agenda: Widget+. I would love to have that Agenda: Widget+ Complication display in the Middle of the Modular watch face, so I could see my upcoming events at a glance. On my Samsung phones for the last 5 years the up next widget was amazing. It showed up coming events for the following 2 weeks. I was looking for something like that for my IPad Pro and this app was exactly what I was looking for. 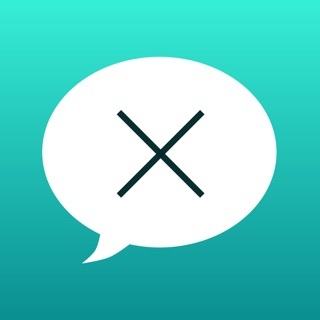 It’s so much better than Apples native up next app. One thing I wish I could do in this up next widget is to be able to scroll down and see events over at least a week no matter how many there are. Excellent widget though. Worth the money. I love this app for Today on iPhone and Apple Watch!! The agenda layout is easy to read and customizable. This is the only calendar for Apple Watch I have found that extends so far into the future. It uses the color of the calendar as a color blocks for all events making it eye catching and easy to read. It scrolls beautifully, so responsive. My only disappointment is that it does not include reminders. That is a separate app which I have. I would prefer to see all events and reminders in one place and have it take only one complication spot on my watch. The complication for the watch shows the day of the week and day. It is easy to read and attractive colors. I’d like to see this app offer a large complication choice for the watch with an opportunity to see that actual event on the watch face. Incorporate Reminders and I’ll give 5-stars. Add a large complication and I’ll be thrilled!! Requires iOS 10.0 or later. Compatible with iPhone, iPad, and iPod touch.